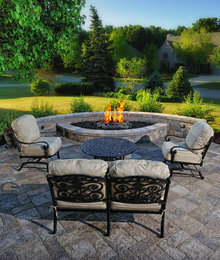 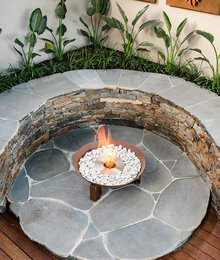 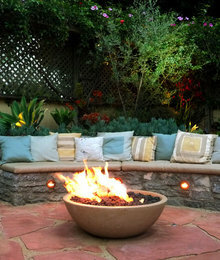 firepits - a Gallery by Central Valley Builders Supply Van Nuys, Ca. 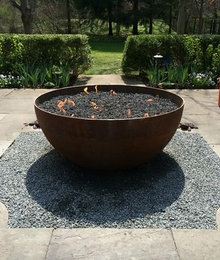 Firebowls for a modern look sitting on gravel ! 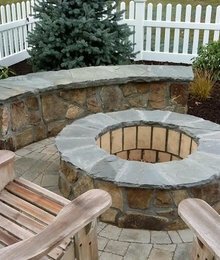 Stacked stone with bullnosed wall cap looks perfect for extra seating! 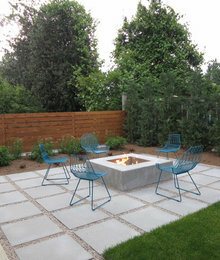 Budget friendly concrete pavers with gravel ! 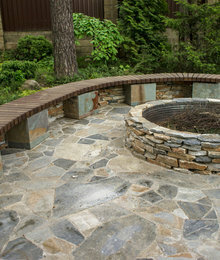 Arched wall for seating great way to incorporate extra entertainment space!